The political council of the UKROP Ukrainian Association of Patriots Party has recommended nominating ex-deputy head of Dnipropetrovsk Regional State Administration Hennadiy Korban as a candidate for mayor of Kyiv, MP Borys Filatov has said. "The political council has decided to recommend Korban as a candidate for Kyiv mayoral elections. In the view of the fact that Hennadiy resigned as chairman, his voice was not counted during the vote," Filatov wrote on his Facebook page. As reported, Hennadiy Korban lost to his main rival Serhiy Berezenko of the Petro Poroshenko Bloc in the July 26 by-election to the Verkhovna Rada in constituency No. 205 (Chernihiv). Berezenko garnered 35.9% of votes (17,782 votes), and Korban got 14.76% (7,311 votes). After the elections, Korban said: "Ukrop will embrace all Ukraine at the local elections." The incumbent mayor and UDAR party leader Vitali Klitschko announced earlier his intentions to run for the next term. According to deputy head of the Petro Poroshenko Bloc in the Ukrainian parliament, the Poroshenko Bloc and the UDAR decided to put forward joint candidates at the local elections in Ukraine, which are scheduled for this fall. 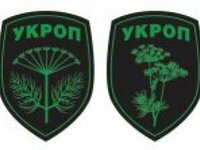 UKROP was founded in June 2015. According to Ukrainian media the party is allied to Ukrainian business tycoon Ihor Kolomoisky.